Meka Aug 31 2016 8:47 pm Hi Van Ness, I love your role as Ren in Autumn's Concerto, you was awesome !!! When I watched the series I could not stop because I enjoyed watching your character and your style. Aevah Nov 19 2015 10:01 am hi van ness i love your role as Ren Guang Xi in Autumn's concerto!!! mhina gonzales Jun 04 2015 1:03 am hi my dearest Van Ness, i hope to see you in person, not only in ur movies please.please.please.... visit the Philippines... take care and god bless u always. jasmine aquino Mar 29 2015 10:48 am i love you, very much vanness. Hope you visit our country, the philippines soon. im very big fan of yours. i wish that i can see you soon ^_^ WO AI NI!! tdramaromance Jul 02 2014 1:49 am OMG!! this actor is incredible(-ly beautiful!)!!! He's suuuuch a good actor!!! So talented! Great acial expressions and so much passion for acting!! And singing, really.. but personally I prefer him as an actor!! Autumn's Concerto - Next Stop Happiness is my favorite out of his dramas!!! Genesis Mar 21 2014 2:40 pm Something is got to be wrong with this list because I don't see any new movies or television shows from you Vanness (not being disrespectful or meaning to)....but you are to fine to sit up on a shelf and not having anything going in the movie and television world. I think I read somewhere that you have done or in production for a movie "The Monk" I really hope so...anyways, I am a new fan and I hope to see everything you've ever put out. 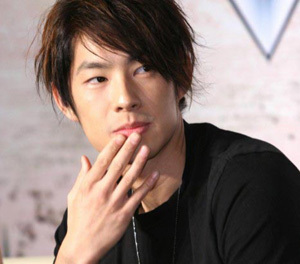 MAY SAW OO Mar 31 2013 2:31 am Hi Vanness---You are my second favorite Taiwanese Artist.First is Teresa Teng .I became your fan after watching your two dramas,THE MATERIAL QUEEN & AUTUMN'S CONCERTO .Wishing you to be a successful artist forever! !